Helmer Scientific has been serving clinical laboratories for more than 40 years. Over time we have received questions about what is important in the design of a Laboratory Refrigerator. What is it about the refrigerator that makes it suitable for storing reagents and patient specimens? How does it help a clinical lab ensure it is meeting the requirements of accrediting agencies? For this reason, we have developed a Best Practices Guide for Selecting Laboratory Refrigerators. It includes specific College of American Pathologists (CAP) checklist requirements and considerations for implementation that apply to the characteristics of a Laboratory Refrigerator. The guide also provides several other considerations for best practices. It clarifies how the design of a Laboratory Refrigerator can help clinical laboratories comply with requirements and facilitate best practices in an easy-to-use checklist format. At Helmer Scientific, we are here to support your efforts to properly store your reagents and patient specimens. 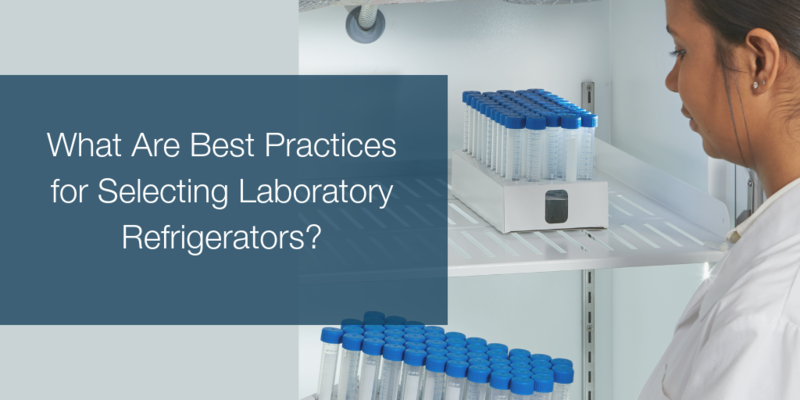 To learn more, download the Best Practices Guide for Selecting Laboratory Refrigerators. What Are Best Practices for Selecting Blood Bank Refrigerators?